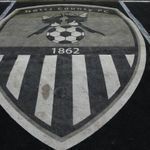 Notts County have imposed indefinite bans on some supporters following social media abuse, with one “particularly malicious tweet” reported to police. The club said a number of comments from supporters “overstep the line between fair criticism and vile, threatening abuse”. “Notts County have reported a number of individuals for abusive comments made on social media,” read a club statement. “The club fully accept this has been a bitterly disappointing and frustrating season for fans and respect their right to voice their displeasure, be that at matches or online. The statement continued: “The club have been in contact with Nottinghamshire Police to report one particularly malicious tweet, while legal advice is being sought in relation to comments made by other individuals. Premiership rugby club Leicester Tigers last week took similar action, reporting incidents of “disgusting personal abuse” of players and their families to police. The Notts County statement continued: “Recent communications from Leicester Tigers RFC and Crawley Town illustrate that this is a growing – and concerning – problem in professional sport.